Use the coupons the next time you shop at your local grocery store. You'll earn 25 points (25¢) for every coupon you use. Disclosure: I am a long time user of Swagbucks and am now an Influencer. 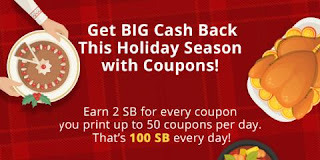 This post is sponsored by Swagbucks and contains my referral links for new sign ups.